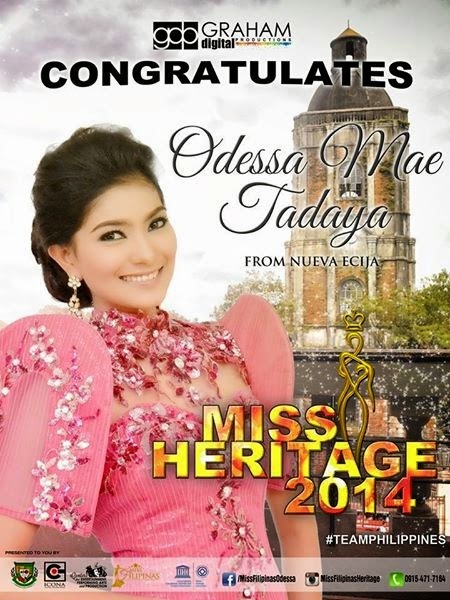 Miss Philippines Odessa Mae Tadaya was crowned Miss Heritage 2014 during the coronation night held at Silver Star Hotel and Casino in Johannesburg, South Africa on December 20, 2014. She bested other 41 candidates across the globe. This is the pageant's second edition. 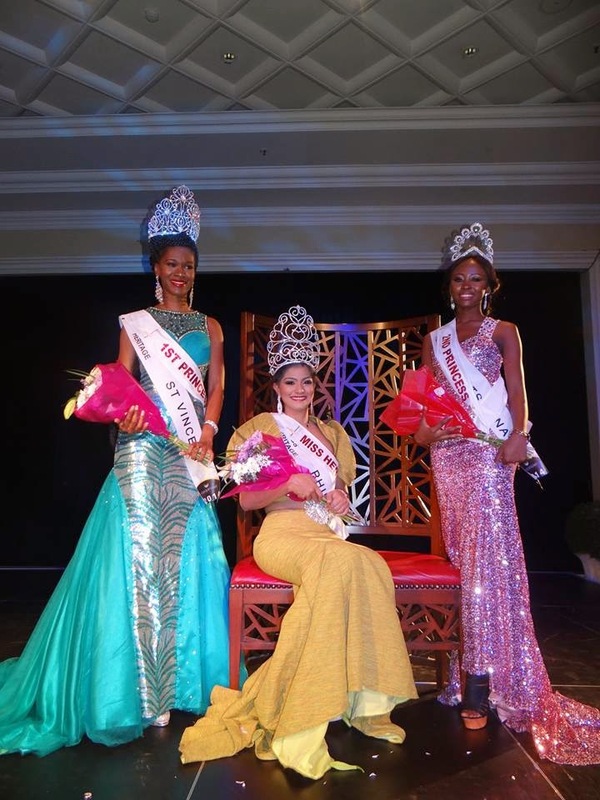 The first winner was Miss Bahamas Shequera Grace King.